this is the first yarn i produced on my drop spindle! 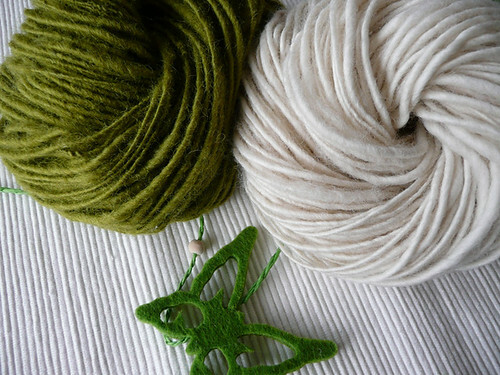 100g corriedale in white + green. first i wanted to ply the skeins, but now i like them as they are!